2018 has not been a good year for me, and while perfume has continued to be a comfort, keeping up with the usual parade of new releases has fallen entirely by the wayside, enough so that as we reach the year's halfway point, I'm already worried about how on earth I'll ever write a "Best of 2018" post. I went back to see how many reviews I'd managed so far, and it's even worse than I thought: not even quite a handful. Omnia Paraiba (2015): A sunny tropical fruity floral. Probably no better than the others, but so cheerful I loved it anyway. If I ever came across a seriously discounted bottle, I'd have trouble resisting even though far worthier fragrances are languishing on my wishlist. It would not be quite accurate to say I had any massive expectations for Omnia Pink Sapphire, but "a whimsical combination of bright citrus and exotic florals" from perfumer Alberto Morillas sounded like it might at least provide some welcome cheer, and "frangipani, sparkling pink pomelo and vanilla musk" sounded pretty darned good too. Verdict: no thanks, but the reviews at the usual stores are largely positive so don't let me dissuade you. I looked for opinions of Omnia Pink Sapphire in the comments section here but can't find a single mention. Surely one of you has tried it? The poll: help me out, and name the one single fragrance you would nominate for best of 2018 so far. It's too late for me to catch up this year but I guess I can at least try to smell a few highlights. 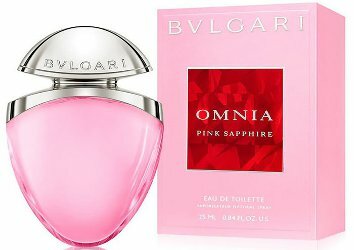 Bvlgari Omnia Pink Sapphire is available in 25, 40 and 65 ml Eau de Toilette. Additional notes include pink pepper, tiare and white woods. I have not tried the Omnia (nor any Omnia for the past few years). For a best of 2018, I would nominate Diptyque Tempo. I have a feeling that I will nominate an Hermes once I have properly tested / worn some of the candidates. I haven’t tried the new Chanels and at least one of the 3 seem to be getting positive press. Also, surely, Mandy will come out with something spectacular this year…she’s been awfully quiet unless I am very behind! Here’s to a better 2nd half of 2018! You’re right, Aftelier has been quiet! We are due for something. Agreed, Tempo is very good. Robin, you’ve created such a wonderful community here that you know we’d all forgive you if you didn’t release a best-of list until the mid 2020s. I mean I looooove your reviews and think you have a real gift for writing, but I would give them up in a second for your well-being. Scrolling on Basenotes it seems I have only smelled a few of this year’s releases, of which Zoologist Moth is my favorite. But based on comments here I’d think Niral, Eau de Citron Noir and Fleur de Peaux would also be contenders. The one I most want to try is Tulsivivah! Eek, I missed the “one single” request – Moth! Can you believe I have not tried a single Zoologist?? I am so behind. What Regina said — I am thrilled to hear from you when you can post, and there is no need to fret about or explain a dip in frequency. I haven’t found anything new that I like, so I am no help at all. Same as what Regina said so well. I can’t think of anything I tried this year that I loved. I didn’t try Angel Muse edt yet, but I will assume I like it. I tried to test the Pink Sapphire, but no tester. I am wishing you a better second half of the year. Thanks lillyjo! And I forgot about Muse EdT, although I like the EdP fine. I third, fourth all of this. One of my favourite places on the internet. Can’t remember whether I’ve actually tried anything that has come out this year. Ditto on the Omnia’s. Haven’t tried all of them, but the original, Crystalline and Paraiba are my favourites. Crystalline is somehow exceedingly pleasantly wearable, and few fragrances can beat Paraiba for cheerfulness. Hope your year gets better! Every time I see Paraiba in the comments (and I do see it from time to time) it cheers me up! I found my bottle of Crystalline last night, I honestly forgot that I own it, and it smells great! Perfect for summer. I haven’t tried many of this year’s releases but I would really love to try the new Hermessences and Chanel Eaux. Always happy to see a review on NST, regardless of the perfume or its release date! I did get to the Hermessences but not the Chanel — I will get there. I haven’t smelled many new perfumes this year, but I did buy a mini of Tauer’s Les Anne’s 25 and it’s really good. Will probably be even better in cooler weather. Yes, that’s high on my list to get to, thanks! I’m so sorry about the rough year, Robin. I had a couple of those in a row lately, myself (2016 was filled with family crises, then 2017 with health crises), and now that you mention it, 2018 also seems to be trying to kill me, so…I HEAR YOU! (LOL, cuz what can you do but laugh and maybe say a little prayer?) Echoing what’s been said: take care of yourself and worry about 2018 perfume literacy later. Life can be interesting, but it’s definitely a full-contact sport. My best of 2018 is, shockingly, Tory Butch Just Like Heaven. I’ve actively disliked her other perfumes on me, so almost didn’t accept the free sample of this. But it’s a big old springtime floral with rhubarb that doesn’t sour on me, and I just love it. It’s so strong and so unabashedly floral that I don’t know how it got past the marketing team in the age of skin scents. New-to-me in 2018 (can’t tell if it was released last year or this, though) and another love is Aerin Hibiscus Palm. It’s a big (BIG), tropical tuberose to my nose. Aerin is another house I haven’t historically loved the output from (I’m much more Team Estee than Team Aerin). So I guess this makes it a year of surprises. I haven’t sought out many new releases lately, so it’s been fun to stumble across a couple I really enjoyed. I do want to try the Dipyques and Bruno Fazzolari’s newest, but aside from that, I’m mainly enjoying the perfumes I own this year! A full-contact sport is right! Sorry it is trying to kill you too. But that’s two surprises…Tory Burch & Aerin are not my usual hunting grounds! I will give them a shot. I agree with the Tory Burch. It didn’t work on my skin, but it was definitely not what I was expecting, and done well imo. I also like the Tory Burch and I am waiting for a HUGE discount to pounce! Robin, take your time and do not worry much about the best of 2018. We can have it much later. It has been a very, very rough year for me too, so I understand you. I hope things get better for you the second half of the year. I have not tried anything new, except for Iris Rebelle that you already reviewed. I am sure it will not make it to the best of the year, but I like it. This has been a year of enjoying more what I have and avoid trying new things like Tempo that can lead me to unnecessary blind buy expenses. I am sure Tempo will be one of the favorite releases this year. Tempo does sound like a contender, I will have to try it. So sorry it has been rough for you, too — I hope we both see things looking up soon. I really appreciate your second to last sentence… I am trying to live by that mantra as well… love and appreciate what you already have. Sometimes, you go thru situations in life that makes you appreciate what you already have instead of keep spending on things that are wanted but not necessary. I have bought only one full bottle this year. It has not been easy, since I would love to keep buying perfumes like crazy as usual. Not anymore. You have been a good example to follow and I appreciate that. I think we have all been supportive of each other in many different ways which is great… and any time you need me to talk you out of something just let me know ???????? I will! The same goes for you! ???? Sorry to hear you’re having a rough year, Robin! Hopefully things will turn around for the second half of ’18. I just finished my sample of Omnia Crystalline yesterday and agree with your take – if I had an office job it would make my work-appropriate list. I don’t follow new releases very closely, but I’ve been enjoying Baiser de Russie and Zoologist Camel (this might be ’17) so far in 2018. Would love to try the new Diptyques everyone’s been raving about as well. I should try Crystalline again too, and see if it’s changed. It’s just odd to me that it is still selling and poor original Omnia is not! How could I forget about Baiser de Russie? I just wore it yesterday! + 1 for the Best of 2018! I like lists and the Best Of’s you do each year,I LOVE Now Smell This and this community.Just keep doing what you are doing Robin and we’ll be here too! I’m sooooooo behind on new releases,I mean I barely sniffed anything new and exciting from 2017! Thank you Johanob, that is really kind! Robin, I hope 2018 does a big 180 for you. As they say, what doesn’t kill us makes us stronger. ???? I haven’t tried many new releases. I refuse to buy samples, so that really limits opportunities, lol. A lovely Nordstrom sa gave me samples of Tempo and Peau a few days before the official release. I fell hard for Tempo at the first sniff. The tea and patchouli combo is fantastic! Ok, Tempo is definitely on the list. I am really sorry about the tough year so far Robin. I hope it lets up. In addition to Niral and Paris-Deauville, which have been named, I think Viper Green is worth a sniff. I don’t know about best ofs but it is a great galbunum kick in the pants. I also am finding Cornaline really interesting, although it smells nothing to me like others describe. I feel like there is something else from this year I’ve really LOVED, but it isn’t coming to me! Oh and I also really like Miller Harris Wander Through the Parks. Another greeny for summer! Again, best of? I don’t know. Lovely, 2 greens — right up my alley. Thanks Amy! I hope the rest of 2018 will be better for you, Robin. Sometimes it seems like challenges come one right after another for us. I’ve had a few things, myself, that had to be dealt with in the first half of the year. Somehow we will get through all of it! I was thinking how much I like Puresdistance Warszawa and how it just seems very unique. Then I looked and noticed that it was released toward the end of 2017, so it doesn’t qualify for 2018 “Best Of” for the first half of the year. I think I’m a bit behind on new sniffs. So true, most of what I’ve sampled this year has been older stuff. Interesting, have not heard a thing about that one! Thanks Cybele. I hope the other half of the year proves to be better for you, Robin and all others who have had a challenging 2018. I haven’t tried too many new releases but two that I really enjoyed are Tempo on me and First Cut on Mr CM8. I have also enjoyed discovering unknown to me older scents which were new to my nose. I usually get more enjoyment by trying older perfumes that I have never smelled before. Some of them are much more interesting than the latest releases. Yes! That’s what I am discovering ???? Aha, First Cut is one that Jessica reviewed and liked, I will have to look for those! Gads! I thought 2017 was as bad as it was going to get, but “Giddy Fortune’s furious fickle wheel” as Shakespeare said (he did have a way with words, didn’t he?) had other plans. Here’s looking ahead to better things, Robin. ???? And a big “thank you” for NST, which provides a place of beauty and inspiration and fun! I thought I hadn’t tried anything from 2018 – I’m usually several years behind – but I have sampled Kerosene’s Walk the Sea (thumbs up!) and bought Fragonard’s Verveine (excellent for summer) and I’ve got to get my hands on some of the new Tauer. I thought 2017 was awful and couldn’t wait for it to end. Ha, little did I know. That Fragonard is a real unsniffed temptation! If it came in 30 ml I might cave. Beautyhabit has the 50 mL Fragonard for $28 although it is sold out at the moment. I second this; I am not even a neroli fan and I absolutely love it. That one is VERY tempting. I will definitely get a sample. I hope 2018 improves for you, R. Last year was my worst ever and this year is at least better which is a relief. 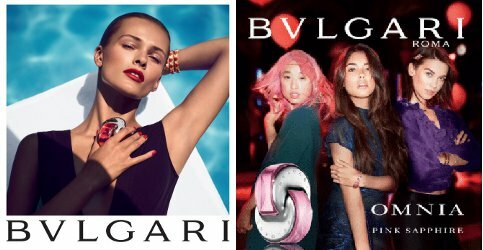 Bulgari Omnia original is my favorite followed closely by Crystalline. Amethyst was nice but way too fleeting and I haven’t tried any others. Thank you ringthing! Glad your worst year is already behind you. Britney Spears Sunset Fantasy! It’s. Revolutionary. And. Will “re-energize the celebrity category”! Mark! My! Words! All! You! Non! Believers! Yes, jonr951 — you CAN make me laugh right now, and you did! Excellent, thank you. Well, that announcement is in a British publication so don’t think that necessarily means it won’t be here — they just wouldn’t be likely to tell you where. I’d keep an eye out! Oh, Robin! Oh, my fellow nst readers! So many people having tough years, and yet you all manage to come together create a place of refuge for the rest of us. For all of you that post and are having rough times: thank you. Reading nst is one of the best parts of my day. I am humbly thankful for your writing (and for everyone’s comments). Keep your sanity. Who cares about best of 2018 lists or reviews of recent frags that you aren’t dying to share with us anyway?! There really hasn’t been anything THAT great this year yet. We are all thinking positive thoughts for you, Robin. Hang in there! Thank you gvillecreative! It does seem like so many people are having a tough time, or maybe I’m just noticing more. Also suspect you are right that there hasn’t been anything that great this year. Robin, I echo what has already been said so well here by the NST tribe. As for Best of 2018, no sweat. When you feel like reviewing something, fine. Don’t worry about us. You’ve got some good writers here at NST. I read all the articles every day. For the past 10+ years this has been my favorite blog. Thank you so much Suzy Q! So sorry to hear that 2018 is/has been one big nasty slog for you Robin. My sympathies to other NSTers in the same predicament. I personally had terrible years in 2016 and 2017, so I feel you. Do what you need to for self care! And I am adding my thanks for creating such a wonderful, nurturing place on the Internet. The only 2018 release that I am really stoked about trying is Tempo, thanks to an Enabler Extraordinaire here. Other things that have caught my eye recently are 2017 releases, so that’s not much help for a Best of 2018 list. Ha, then we overlapped in late 2017! Glad things are looking up for you this year, and hopefully that means it will be my turn in 2019. So sorry you’re having such a rough time, Robin. I’m amazed and appreciative that you continue to show up here to give us this little hideaway every day. But, do take care of yourself first and and foremost-we’ll all survive if you ever need a break. I’ve smelled a few new things this year but can’t quite remember all of them right now. I thought I would get a travel spray of the new Commodity Nectar after I finished a couple samples, but I forgot about it already. I did smell Miller et Bertaux Tulsivivah!, thought I loved it at the time, thought I took home a sample but it was something else, and have forgotten about it until Regina mentioned it above. I liked Tempo, but not Fleur de Peau. There is nothing perfume-wise I really want to buy right now. What I AM lemming, and wish it came in a personal scent, is the 2018 Cire Trudon Esterel candle (iris, mimosa, bergamot). Ooh, promising about Tulsivivah! (See how I keep putting it at the ends of sentences so I can pretend the bang is just normal punctuation?) I loved the early M&Bs and then was less impressed by the ooOOOoooh years but haven’t smelled the last few, which sound more up my alley. Ha! I actually prefer it midsentence so the ! doesn’t seem like I’m overly enthusiastic. I kept respraying Tulsivivah! in the store because I loved the top notes. Such a natural, juicy citrus among other things-there was just something about it that made me really happy and reminded me at points of an incense I love (Blackbird Blood Countess). But, the drydown, which lasted over 24 hours, was less interesting (sweet tonka or vanilla or something along with the surprisingly persistent citrus) but pleasant, nonetheless. Completely inoffensive. I also liked Shanti-nice rose/sandalwood. Thanks Elisa P! I thought about taking a break but actually doing this is often one of the more cheerful parts of my day. I do wonder if we’ll see more Trudon personal fragrances? Esterel sounds great. Completely agree that 2018 has been a no good, horrible, very bad year and I am sorry that it has been hard on you. One of the bright spots for me has been reading Now Smell This. It’s great, you’re great, and this blog has given me considerable comfort. Perfume does help. The best for me this year, as for many, has been Niral. I wore it to an outdoor event a few weeks ago and at first thought that the complex, uplifting fragrance in the air was coming from the iris, peonies and early roses in the nearby garden. When I was back on the hot, dusty brick sidewalks of Cambridge I realized it had been Nira all along, coming from me. The next time I buy a bottle, that will be the one. But I don’t have it yet and today I just gave into melancholy and wore Apres L’Ondee. All the excellent reviews I’ve read here over the years have greatly helped in the accumulation of perfumes I can count on for solace when I need it. Seems like 2017 was a doozy and more for lots of us! I think best release thus far is Chanel Paris Biarritz. I just love it, even more than Deauville. Okay, I love them both. Oh good, I look forward to trying them! How often has NST, this wonderful perfume bubble, been the most sane and lovely thing in my day? I’ve lost count. The kindness and courage shown here in big and small ways always lifts me up. Thank you to Robin, and thank you to everyone who writes, reads, comments, and lurks at NST. We are a cologn-ed community of fragrant friends who know how to perfume things up right. I believe that the only scent released in 2018 I’ve tried is Myrrh Eglantine. I LOVE it, and wholeheartedly recommend a sniff to everyone. Wish I could share more from this year, but I’m still sniffing samples from 2016 and 2017. Yes it was! Thanks Tiffanie. And agree about Myrrh Eglantine. A great, big hug to you, Robin. 2018 has been challenging on multiple levels it seems for many…personally, professionally and world events wise. This fragrant community, fostered by your blog, is such a wonderful refuge from the large and small challenges in life and I am so, so grateful for it. Please take good care of yourself…the flanker parade will go on as scheduled and there will be plenty of time to sniff the good, new releases as people weigh in…of which Tempo is one. ???? Tempo does seem to be the obvious winner today! The standard of writing on this blog is high enough that you could dedicate yourself to reviewing irrelevant fragrances from 2007, and I would still be a regular reader. You are dealing with an overheating industry that is producing vast numbers of undifferentiated products to stimulate non-existent markets. Devoting your time to sifting through the backlog is really the only sensible response. That is really kind, thank you Uday Parfoom! Thank you Robin for this blog and community, it is such a cheering and wonderful place. Take care! When it comes to best of 2018-recommendations I have two suggestions: +1 for Tauer Les années 25 that was mentioned above, and one vote for Stora Skuggan Moonmilk, by far the best sandalwood I have ever tried. (They use real mysore sandalwood according to the SA in their store in Stockholm, but who knows – it is beautiful, anyway). I’m not sure if this was actually released in 2017, but I first heard of the brand this year. Also an interesting house if you are fond of quirky perfume copy, they make it an artform. Well I hope it isn’t real Mysore sandalwood — actually don’t know the current state of things but there was a time when perfumers were pledging not to use it because it was seen as unethical given its endangered status?? But who knows, and maybe it is from a sustainable source. I would like to add my heartfelt best wishes to you, Robin, during this not so great year. Reading this blog, even if I rarely comment, brings me joy every single day. So far I am loving Tempo (bought a full bottle immediately), and Cedre Sambac (which was a surprise to me, since I am not a jasmine lover). It would give me great pleasure to send you some Tempo if you’d like to try it. Just say the word. Hope things start looking up soon. ???? Thank you Adanst, that is really kind of you! For the moment it is not at all necessary to send me any Tempo — I have a large pile of unsmelled stuff I will try to get through first. But really, thanks! We all hate to hear of your suffering, Robin, and would rush to alleviate it if we could… I admire and appreciate your courage in just getting up every day; that is a victory in itself when times are hard. I’m sending you waves of hope for better days ahead. 2017 was disastrous for me personally and professionally, and I’m relieved to have just gotten through it somehow. I’m _always_ years behind on perfume releases, and I think the only 2018 I’ve smelled is Tempo, which I quite like! Thank you, if you got out of 2017 I will get out of 2018 — thanks for the waves of hope! Sort of shocked at how much consensus there is on Tempo — either Tempo is beyond category, or 2018 was not a great year. I liked a couple of the limited edition Jo Malone scents. I bought Oat and Cornflower but also liked Honey and Crocus. Thanks thegoddessrena! I did hear good things about that collection. Amethyste was the scent that led me down the rabbit hole, so I always give the Omnias a sniff. I think I’ve outgrown them, though; they don’t “sparkle” for me anymore and there are so many others I like better. I did try Pink Sapphire earlier this month, and while it was merely “meh” on me, it smelled fabulous on my sheets. . . . Interesting, I’d be afraid to spray something I didn’t like on skin on my sheets, I think! 1. Technically, Barbara Herman’s Mx launched in 2017, but I didn’t smell it until 2018. Very nice work! and you can see the pretty packaging on the Hi Wildflower website. I bought Mojave but there might be something in the line I’d like even better. 3. The best thing I’ve smelled this year is Ensar Oud Santal Sultan, which is available now at Luckyscent. Just beautiful, old sandalwood distilled by a fanatic. Not very practical in terms of price, but the bottles are small! Wow, that Santal Sultan sounds fantastic and WOW what a price! I am too cheap to even buy the sample!! Such a shame when you think of how many cheap perfumes used to have fantastic sandalwood. Also- this is from 2016, but I just recently sniffed: Luce by Note di Profumum. Beautiful. If it’s in your stockpile, give it a try. Thanks for both recs, will add to list! Coming late to this post, but I hope things have improved for you! My daughter tells me that “Mars was in retrograde” all summer, which supposedly screwed up a lot of things, but now it is out. So maybe life will calm down, personally and globally! For 2018 launches, I’m in love with the new St. Clair Scents, a new indie line. Of its three fragrances, I have tried and loved both First Cut and Gardener’s Glove, with the latter ahead by a nose — pun intended! Frost, the third, is up next. I hope so, thanks Old Herbaceous! Jessica likes St. Clair too — I have not tried them yet.